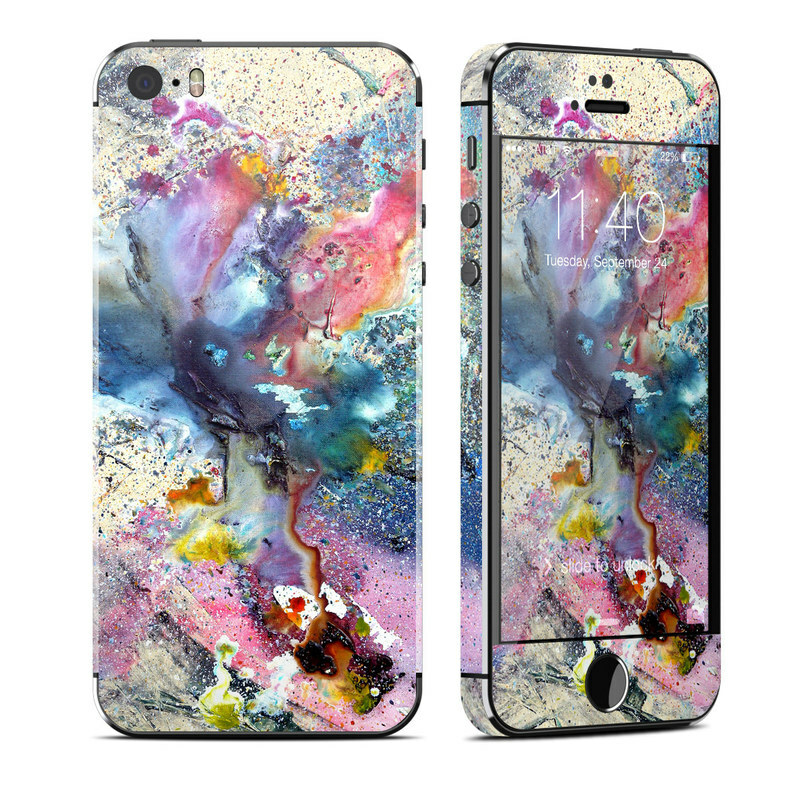 iStyles iPhone SE, 5s Skin design of Watercolor paint, Painting, Acrylic paint, Art, Modern art, Paint, Visual arts, Space, Colorfulness, Illustration with gray, black, blue, red, pink colors. Model AIP5S-COSFLWR. Added Cosmic Flower iPhone SE, 5s Skin to your shopping cart.